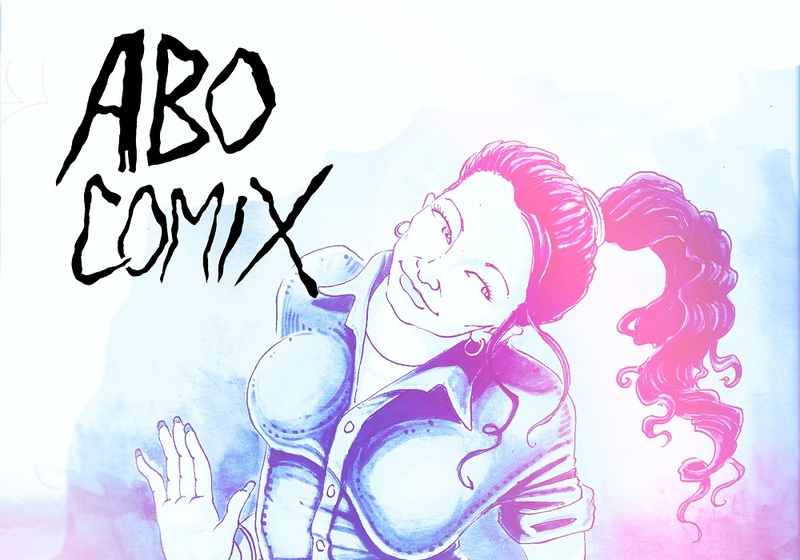 ABO is a comix collective of creators and activists working to amplify the voices of incarcerated LGBTQ folks. I recently had the unique pleasure of sitting down to chat with two of the group's founders. We went in deep regarding prison abolition, material support for queer prisoners, and methods for holding our own spaces accountable. 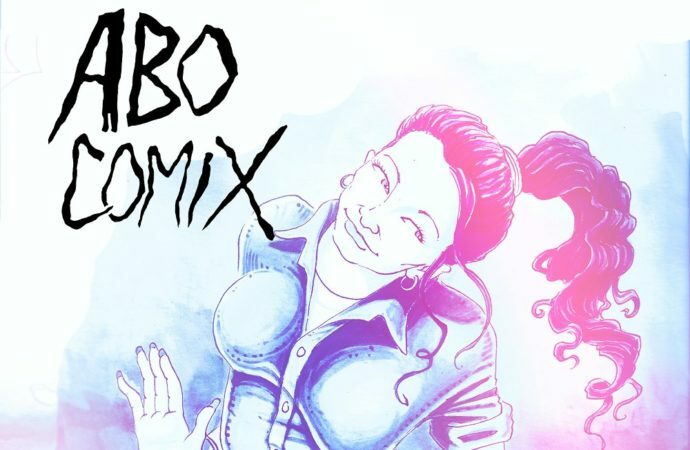 ABO is a comix collective of creators and activists working to amplify the voices of incarcerated LGBTQ folks. I recently had the unique pleasure of sitting down to chat with two of the group’s founders. We went in deep regarding prison abolition, material support for queer prisoners, and methods for holding our own spaces accountable. As we all look towards improving our communities for the future, I think we can learn a lot from ABO’s mission. Liam: Thank you so much for finding time for this interview! Would you mind introducing yourself and telling folks a little about how you came to form the ABO Comix Collective? Io: Hi, I’m Io (they/them), you might know me and ABO Comix from the “Be Gay, Do Crime” skeleton meme on Twitter. I’m an anarchist and I guess you could say I’m a “little c” communist. I’m someone who has worked in the indie comix/DIY zine space for a while now. Multiple times, I’ve teamed up with like-minded people with the goal of doing something radical and comprehensive but those kind of proposals really fizzle out when [people] try to tackle so many issues at once. With ABO Comix, we formed it specifically with the goal of representing and amplifying the voices of LGBTQ prisoners through art. Casper: Hello, my name is Casper (they/them, he/him). I’ve worked with prisoners and organizers in the prison abolition movement in the past. This felt like a natural extension of that work even if ABO Comix anthologies are not necessarily about prison abolition in content. The prison system is something most Americans don’t know about both systemically and how it affects prisoners on a personal level and ABO is kind of a way to at least understand more of the second. Liam: Absolutely. So, I believe the first issue of the ABO Comix Anthology was the first thing y’all published? That was in December 2017 or so. 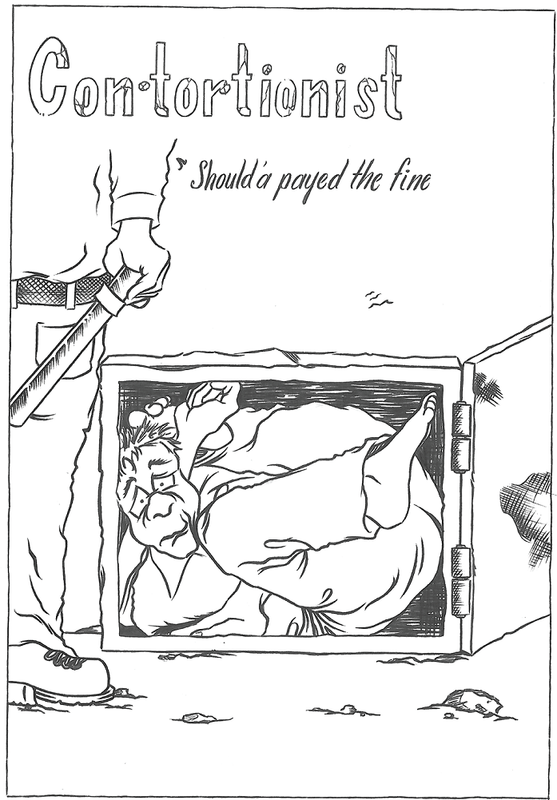 Through ABO Comix, not only are you working with incarcerated LGBTQ activists and showing their craft, their stories, their art, but the entire conception of these releases is to literally materially aid these prisoners; would that be fair to say? Liam: Sure, that’d be pretty daunting! Io: And I want to go back and just bring up something that Casper mentioned of how important it was to connect directly to LGBTQ prisoners and to help tell their stories because the whole prison system is something that saps the life out of the people inside of it. Helping monetarily means these people can have more money in their commissary or to have opportunities that they otherwise wouldn’t. 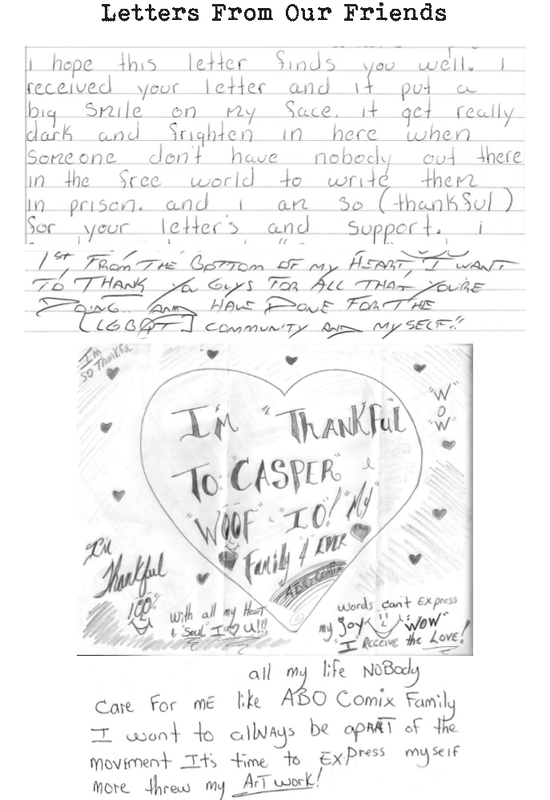 Casper: Through working with organizations like Black and Pink, who do advocacy, education, letter-writing to LGBTQ prisoners, we’ve learned just how much a letter here or there, a single connection can make for a prisoner. People in solitary confinement who have been contemplating suicide … have said receiving a letter from us has given them a purpose. When you have someone willing to send someone a letter inside prison can really impact someone on an individual level but can also change prison environments in general. Having a community outside of prison willing to do advocacy work on behalf of people who write with you, you can make a lot of changes. We’ve heard from people who have told us that just receiving a letter on the inside was the first time they’ve heard from anyone on the outside in maybe years. That is psychologically very helpful knowing that there’s someone on the outside looking out for you through the terror. We’ve heard from people who have told us that just receiving a letter on the inside was the first time they’ve heard from anyone on the outside in maybe years. That is psychologically very helpful knowing that there’s someone on the outside looking out for you through the terror. It’s also just way easier for people on the outside to help because prisons just listen to them more. We’ve written into the Ombudsman Office saying that we’ve heard about the conditions, the abuses, indefinite solitary confinement; and within days, we’ve been able to get people moved out of solitary, moved into safer environments and even some policy changes regarding transgender prisoners’ safety. Things like doors on showers so trans prisoners are not exposed. It’s just like so many things that I never thought would come of this project have done so. Liam: I think that’s amazing and while I’m not the most well-versed in everything when it comes to the prison abolition movement, I at least know abstractly just how dehumanizing the prison industrial complex can be towards prisoners. I can absolutely see how one or a few letters could have a profound effect on people and that’s great to hear that the work you’ve done has had a material impact. As a trans person, I try to stay up to date on what is happening to prisoners as whatever is happening to the general population, is happening to trans prisoners even moreso. Being misgendered, being denied services, medicine, affirming environments they need … the list goes on and it’s inhuman. I don’t think we should sugarcoat that kind of stuff. Io: I think there are very few things that better define the sort of crisis compelling the modern world than prisons. I’m sure there’s an appropriate Angela Davis quote you can apply to society about looking at their prisons. One of the things I’m glad about ABO and what we set out to do is just build a bridge to stay connected to the outside world. And judging by the response we’ve got, I think we’ve done a pretty good job and I’m extremely proud of that. Liam: Absolutely. Could you speak more to some of those responses or specific anecdotes about building that bridge? Casper: Yeah, we have pages in the backs of the anthologies that are just little letter excerpts from people. They just kind of say in their own words what this project has meant for their lives. If you don’t mind, I’d like to share one here. Liam: Yeah, absolutely. Thank you. The fact that this is spurring so much dialogue in our own communities among people who had never heard of the term “prison abolition,” I can hand them this comic and they’re like “I had no idea.” You just see prisons on TV and it’s this sort of representation of them that makes us so used to them but we really have no idea what they’re like. 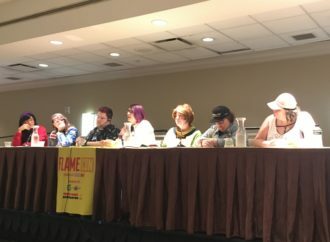 Io: I think that the comics community leans empathetic lefties already and I was excited to try and bring something that’s not necessarily “radical;” it doesn’t have an agenda besides “prisoners are people” and “what we’re doing to them is absolutely monstrous,” but comics has already made strides in kicking out abusers and making more space for artists of color for which prison is a constant threat hanging over them in their daily lives. Since queers in comics have been working to make more space for themselves in the community, we thought that queers in prison would like to be a part of that movement as well. 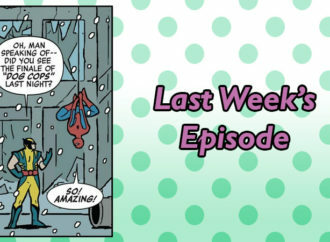 Io: And maybe remind folks in the comics community that prisons are there to disappear people and are woven into the fabric of sort of everything that we all complain about whenever we’re in a room together. Liam: I guess in that respect, for people who are coming fresh to the idea or movement of prison abolition, do you think picking up ABO Comix 1 and 2 (out now!) is a good starting point of how to learn more, even if it’s not the main objective of them? Io: I guess when you put it like that, it is kind of radical notion, people asserting their own humanity by telling their own stories. I mean I wrote a sort of tirade at the beginning of the first anthology and there’s another tirade at the start of the second one. Casper: I think it is a good starting point because the language surrounding prison abolition is very clinical, very academic. It’s not very accessible and it also kind of talks about prisons in the abstract. Here are the facts, here are the numbers of people … etc. It loses that humanity. So when you have these amazing pictures associated with an actual experience, it really helps you connect one on one. I mean I would also recommend this book by Angela Davis, I just pulled it off the shelf. It’s called “Are Prisons Obsolete?” If you’ve never heard or read about prisons besides on television before, it’s a really short book. It’s not overly academic, it’s simple to understand but comprehensive analysis of where prisons came from, how we got to this point, and what prisons look like now. And then what we do from here. Casper: I’ve also been listening to this podcast recently called Beyond Prisons where they talk about a myriad of subjects like prison cultures and a whole host of things that never get brought up in mainstream conversation. There isn’t a focus on justice, just catharsis. We should flip that priority to be around the safety and peace of mind of those affected by it. Not relying on the state to define accountability means we all have a lot more responsibility. Which is extremely scary! There’s not a lot of tried-and-true answers. But, to approach things with the same standards that we can expect from prisons diminishes what we can expect from each other when it comes to accountability. Io: Other ways I’ve liked talking to comics people about prison abolition involves accountability and making spaces safer. I think people are coming around to the idea that you can’t just shame people out of spaces. [If we just do that and stop there], they’ll just become another scene’s problem. There isn’t a focus on justice, just catharsis. We should flip that priority to be around the safety and peace of mind of those affected by it. Not relying on the state to define accountability means we all have a lot more responsibility. Which is extremely scary! There’s not a lot of tried-and-true answers. But, to approach things with the same standards that we can expect from prisons diminishes what we can expect from each other when it comes to accountability. Casper: I think it’s a really difficult conversation when you have society that believes that certain people deserve to be in prison and to be isolated. Like Io was saying, I think the responsibility falls on us and not law enforcement to keep everyone safe. That means that accountability shouldn’t be punitive, it should be compassionate for all involved. It should make sure that agency is not taken from people with are harmed, and it also means that there should be tools for people who do harm to others to learn and grow instead of just being kicked out. And it’s so hard for all of us queer- and trans-identified because at the end of the day how can we be compassionate towards people who harm us? But it’s important work to find better solutions. Liam: That makes sense to me. Over the course of 2018, it feels like there was a greater amount mainstream conversation around prison abolition as a result of the publicizing of Trump’s border policies (“they’re throwing children in cages”) and also the National Prison Strike in August. That was heartening to see the discourse move further forward than it has in recent memory, but it can also be frustrating when people aren’t able to move past that base conversation to go “okay yes, that’s bad, and also, we’ve been putting people in cages since the conception of the United States.” That’s not to diminish the terrible circumstances of immigrants and other incarcerated people currently, but how do we shift the conversation to encompass that broader kind of scale? Io: That’s a good question. I think so many people keep saying “they’re putting children in cages” and it’s like they’re so close! They’re exactly right; and we’re putting human beings in cages and that’s draconian and how did we let this become normal? I think there’s been a shift where more folks are considering why immigrants are coming here and then the conversation moves to, “oh, US imperialism has completely fucked up their countries,” so they’re forced to come here. It’s a result of the monstrous things the state does. And the vast majority of the people in prison are there as a result of the monstrous things the state does. Liam: Right, it’s domestic versus international policy. Casper: I think as human beings we’re hard-wired to make connections between things we know. The conversation is so close, we just need to keep talking about it. I know from my own experience, as soon as the connection was made, I was like “that makes so much sense!” I think just having like a 10 minute conversation with people can really make that difference when people are so close to it. Liam: Yeah it’s like, I can’t even remember when it was made clear to me. It just feels intuitive to me now that the prison industrial complex, US imperialism, US domestic and foreign policy, and white supremacy are connected. The US wants to exploit the labor of people funneled into prisons, it wants to take the resources and time from people of color, especially Black people. It’s all part of the machine! Io: If there’s one thing I hope will come out of the Trump era is that people won’t keep pining for a return to “normal” and sort of start seeing this as a “mask-off” moment where we’ve got this bumbling oaf out there saying the loud part quiet and the quiet part loud. Liam: It’s where we can—and not in a one-upping kind of way—be real about the fact that Obama did these things too and we should be real about that. Io: I think because Trump is rude, people will latch onto it more. He’s a hideous monster, of course. But then every US president has been a hideous monster, they’ve just been a lot more polished. 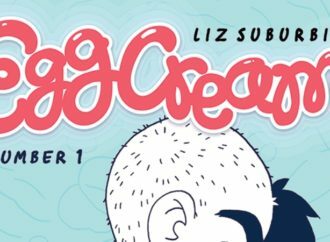 Shifting gears back to ground-level work on ABO Comix, how did production change, if at all, with the second comics anthology after having one already under your belt? 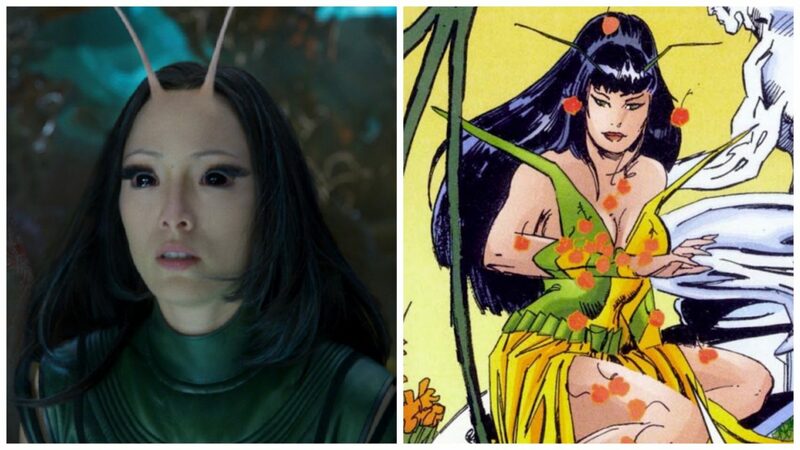 Io: Yeah … it was very different! Casper had to do a lot more work since I was moving out of my van and across the country. Casper: The first anthology was really a labor of love through all of us and kind of has a lot of us in it. 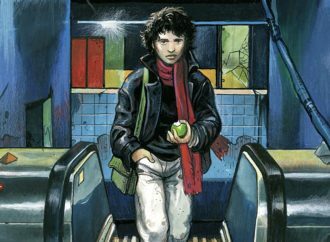 I love the second anthology but I do have to say unfortunately a lot more of it is from my perspective on things. That’s because unfortunately one of our original members wasn’t able to be a part of the project anymore, Io moved to Philadelphia … I was the person who was doing most of the correspondence with prisons. So I pretty much saw all of this commissioned. From there in pre-production I worked with Io and we agreed on the pieces that would be included. The rest is just InDesign, making the forward, designing the cover … and now it’s a book! Io: We learned a lot from the first one. It was [the first] project any of us had taken on in this kind of capacity. All the others I’ve done before have been extremely DIY comix; we started ABO with the DIY/punk/zine ethic, but we got a lot of support from other folks which helped us complete the first and expand to the second. We learned from the mistakes of the first and improved on them in the second, even if it was kind of a slog with everything moving. Our goal is to release one of these each year. A lot of the contributors from the first returned to contribute to the second, and it’s bananas how much they have improved and become more into the project. 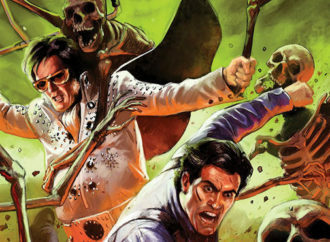 Like people who had never thought about making comics have now taken the idea and just completely run away with it. Like so many are better … I was going to say better than a lot of my friends but I don’t want to throw any of that at them! (laughter) It’s amazing. Maybe for the next one we’d like to reach out to even more queer and trans artists. If anyone who winds up reading this interview has a penpal who would consider themselves queer and are incarcerated and want to tell their stories, tell them hit us up! Liam: And that can be just anywhere online? Is there a specific address or email you want folks to use? Io: Yeah, we’ve got a Twitter. Liam: Now that folks know where to contact you, are there any organizations or people you’d like to plug for folks looking to get more involved in the prison abolition movement or to support LGBTQ prisoners? 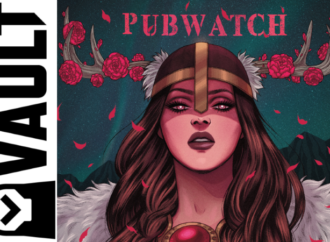 Io: I wanted to suggest sending books and comics to [Philadelphia’s] local Books Through Bars. Casper: I’d love to shoutout to Flying Over Walls/Black & Pink, the Anarchist Black Cross (especially the Austin chapter), and Trans Pride Initiative for all doing amazing work for queer and trans prisoners. Liam: Thank you so much for your time. It was wonderful to speak with you both.